In an effort to better their team in time for their upcoming move to Brooklyn, the Nets are not wasting any time. They are set to offer a trade proposal to the Magic for Dwight Howard in exchange for Brooke Lopez and two first round picks. Of course, in order for any deal to go down, the Magic would have to be convinced that Howard would have no intentions of re-signing with Orlando. Nets guard Deron Williams, whose contract expires next year, would be more inclined to sign a long term deal if the Nets could pull off some sort of blockbuster move. They have only won 36 games over the past two seasons so getting a superstar like Howard and keeping Deron would be crucial in improving their club. Not so sure that Dwight would bolt to the Nets though as it has been well documented that he is more desirous of winding up with the Lakers or the Knicks. 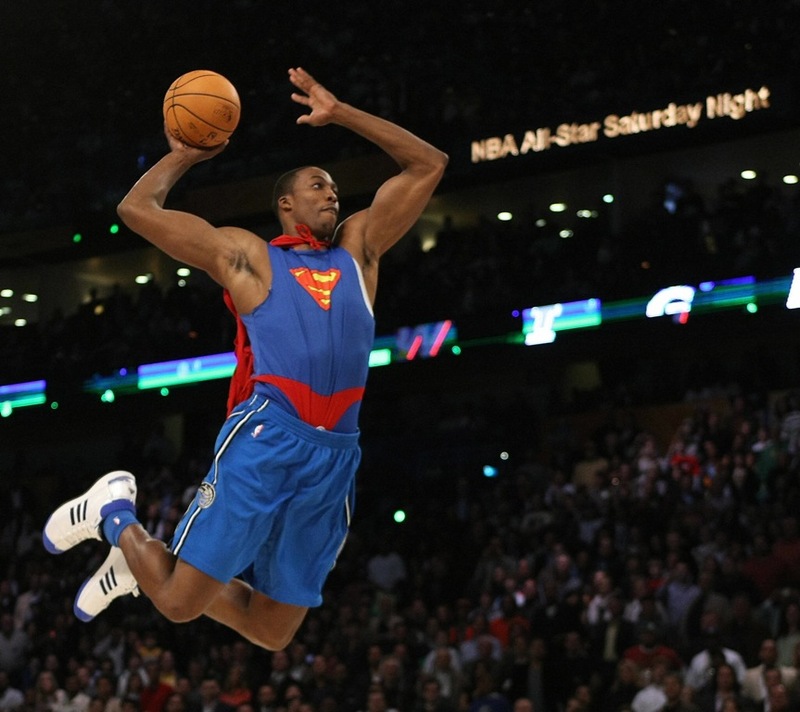 Wherever Superman goes, it will be fun to watch him in another uniform. Will he go to Kobe’s team in LA? Either there or the Knicks..Those are his teams of choice. If CP comes to the Knicks next year, it won’t be likely that LeBron would follow. Just too much $$ and no cap left after Paul.